Don't worry about the bottle suddenly broken up. 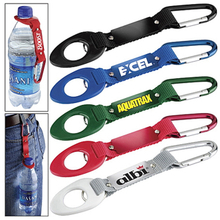 We hold the water bottle holder lanyard strap can be very good to firm your bottle and let you easily hang anywhere. Relative to holding the cup, holding the water bottle holder lanyard strap will be more convenient. 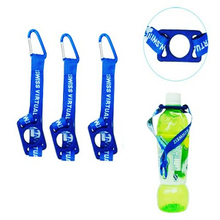 As one of the professional water bottle holder strap lanyard manufacturers, we can provide you with the best China water bottle holder lanyards such as the beer bottle holder lanyard strap. If you have special requirements, you can contact us. We will be able to produce the best water bottle holder lanyard strap to meets your requirement. If you have something about the water bottle holder lanyard strap to inquire, welcome to contact us.